Wondering what GCARD2 conference participants have to say? Check out the social media team’s Podomatic to view interviews from a variety of notable atendees. Para escuchar las entrevistas durante la segunda conferencia de GCARD, visitá el Podomatic del equipo de medias sociales. 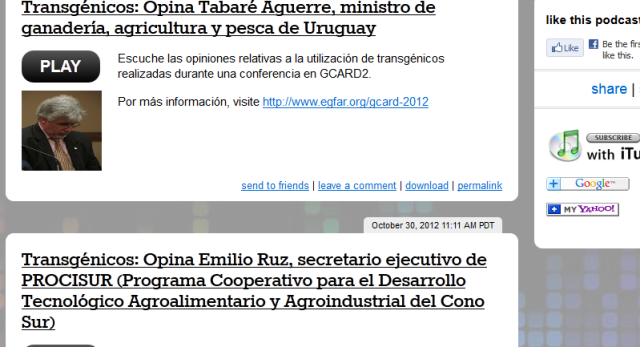 Blogpost by Victoria Pereira, one of the GCARD2 social reporters.